No, according to Final Fantasy XIII-2 producer Yoshinori Kitase, it could be an action-RPG. Calling a surge in the popularity of action-RPGs "a trend…you ignore at your peril", Kitase told Edge, "I think the nature of the franchise is to present something new each time. In the global market we see many players moving away from games that used turn-based systems toward what you might term an action-RPG." 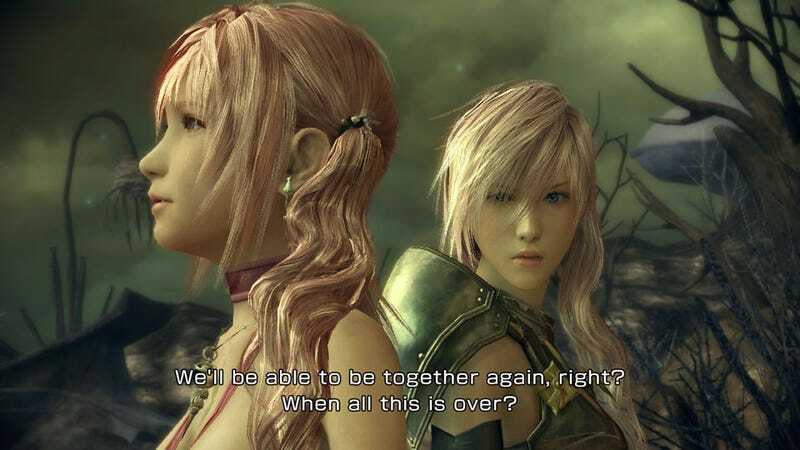 "FFXIII and FFXIII-2's battle systems have those elements of speed and action that are the key words for us, though that doesn't necessarily mean we're going to stick to the same route in our next game," he adds. "That's something only time can tell." Interesting! Despite toying with various quasi-realtime combat systems in games like Final Fantasy XII, the core series has always maintained a turn-based battle mechanic. It's a defining feature of the franchise. To move away from that would be a big deal for Square Enix, and an even bigger deal for Final Fantasy's, ahem, vocal fanbase.